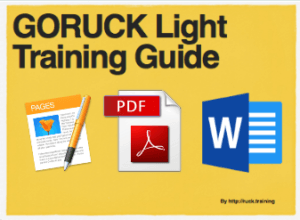 Ruck 12 Miles with your event weight. You should seek to finish in under the GORUCK Heavy 12 Miler standard of 3 hours 30 minutes. 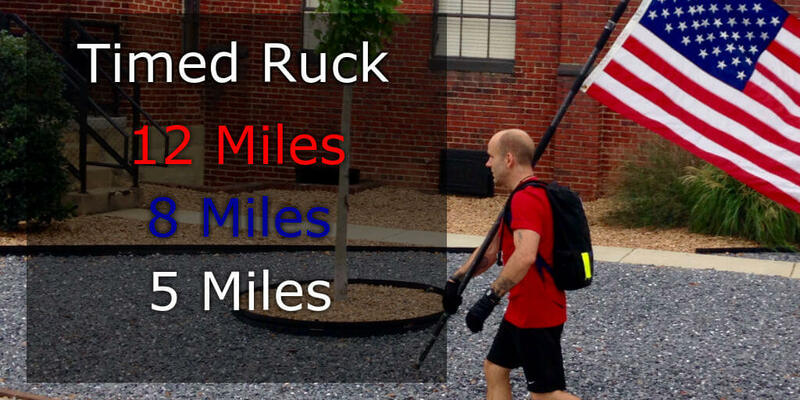 Ruck 8 Miles with your event weight. Attempt to keep your pace under 17:30. 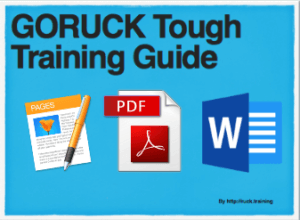 Ruck 5 Miles with your event weight. Remember that your ruck’s “event weight” is how much it will weigh fully loaded for your event. For me, I have my 30# Ruck Plate + an additional 7-9 pounds of water, food, and supplies. So, my “event weight” is 39-41#.